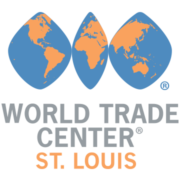 Home > Who We Are > Our Teams > World Trade Center St. Louis > Midwest Investment Center > What is EB-5? The EB-5 Immigrant Investor Pilot Program (IIPP) is a federal immigration program to encourage foreign investment in the U.S. economy. Authorized in 1993, Congress permitted the U.S. Immigration Agency (now U.S. Citizen & Immigration Service (USCIS)) to create and administer an “Employment Based – 5th Category” (EB-5) of immigration into the United States. The program allows any foreign national to invest a minimum of $1,000,000 or $500,000, dependent on the location, in a new commercial enterprise and create or save 10 U.S. jobs in return for permanent residency, also known as a green card.